4 reasons why you should buy a self-balancing wheel or Hoverboard. A hoverboard or a self-balancing wheel has been the leading cause of craze amongst kids of all ages. With celebrities roaming around in this seemingly small two-wheeled vehicle, it’s common for you to Google this latest craze and tries to find some cheap hoverboards for you or your kids. Nonetheless, as the name suggests Hoverboards don’t hover in the true sense as you would see hovering. A hoverboard, however, works in the way you balance your body on top of the vehicle. Now before you get into buying one of these bad boys, you might have gone through the how-tos of this new cool vehicle. On a hoverboard, you control the direction, the way in which the vehicle will go by the shifting the weight of your body on top of the platform. If you wish to move forward, you need to lean yourself forward, carefully and the platforms will sense your movement and move in the direction you lean. Not only will it help you look really cool on the road, but you can also be assured that you will smoothly reach your destination. Have you ever dreamt of carrying your ride everywhere you went and even were able to put it right under your workstation? Your wishes have been heard because the self-balancing wheel with its portable and lightweight design lets you do exactly that. While bicycles account to more homebound thefts because they cannot be safely locked inside the safety of your own home. But in the case of a self-balancing wheel, you can put an even ride your wheel to travel around the home as well. Hoverboards or self-balancing wheel are a great and fun bonding activity for the whole family. Kids, old people even your parents can easily get the hang of this futuristic vehicle at a very fast. Learning to balance oneself on this vehicle will bring the whole family together and make those family get-togethers a fun time for all. Are you fed up of paying a huge amount for your gas or fuel bills on a daily basis? Are you irked by the amount of pollution created by the exhaust gases coming out from the vehicles? A self-balancing wheel will come off as a breath of relief as it eliminates all these issues in a very green and clean manner. Your self-balancing wheel will not burn gas and emit possibly harmful gases into the environment. Segways mostly run on electricity, battery or solar energy. It’s all green. If you love going green, you should buy a self-balancing wheel already. A self-balancing wheel is a skill you need to master to perfection. While you cannot put this skill on your resume, you can always consider this as a personal growth achievement in your life. You may stumble a few times initially, and before you know it, you would have mastered the technology in no time. While we’re at it, if you are looking to close a sweet deal on a self-balancing wheel, you have come to the perfect place. At Australia Hoverboards, we offer the widest range of self-balancing wheels. Are you looking for a quirky designed Handsfree Segway that you can flaunt in front of your friends? Or are you looking for a fun alternative as a ride to your office? We have you covered. At Australia Hoverboards we bring you the best self-balancing wheel at the most affordable prices. We understand quality is of utmost importance, and we don’t compromise with it either. Rest assured you will find the best quality Hoverboards at a ground-breaking price. We like to keep assembly as simple as possible so that you don’t have to lose your mind figuring it out yourself. Look around at our products, and we are sure you will find the best fit! 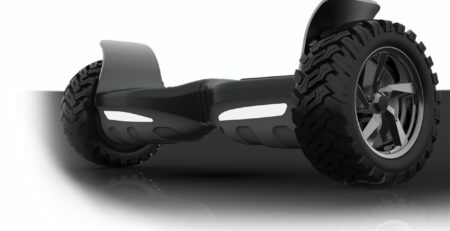 How to choose the best hoverboard for your need?